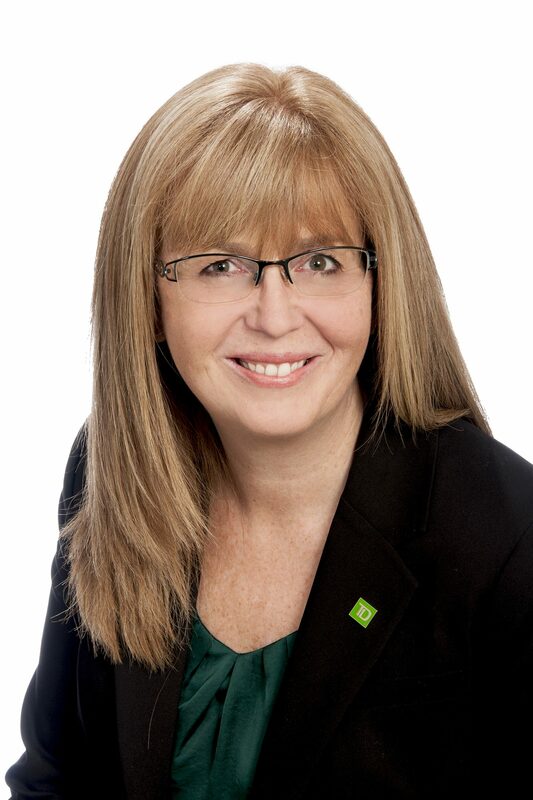 Laura Lee joined TD Canada Trust in 1993 and has enjoyed the journey with this incredible company. Laura Lee’s previous roles include Financial Advisor, Manager Customer Sales and Service, Regional Sales Manager for Personal Credit, Branch Manager and Region Operations Advisor, all of which have contributed to her success in her current position. As a Senior Private Banker, Laura Lee takes a holistic approach to helping to meet her clients’ personal and business financial needs through a wide range of complex banking and credit solutions. Laura Lee works with her clients to help identify financial goals and then draws on the expertise of TD Specialists to create and implement integrated wealth management solutions. These solutions can include estate, trust and tax services, business succession planning, and investment strategies. As part of her commitment to continuous education and excellence in client relationship management, Laura Lee has earned the Personal Financial Planner (PFP) designation from the Canadian Securities Institute. At the core of Laura Lee’s approach is her dedication to establishing longterm relationships with her clients that begin with understanding their goals and dreams, and continues with regular reviews to help ensure they remain on track to achieve their vision of success. Jocelyn is a Private Client Service Associate, assisting Senior Private Bankers with admnistration management of client acconts. She has held various postions with TD Canada Trust for the past 23 years.